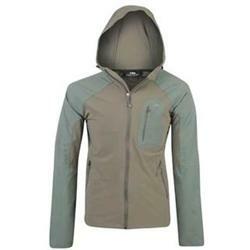 I am about to divulge how awesome is the Ferrosi Hoody by Outdoor Research. Last week was hosted two of the coldest days of the season so far in Central Florida. Temperatues dipped into 50's with high humidity. To someone from the north, this is not cold. However, being from Michigan, I soon realized that it feels cold at those temperatures. One of the main reasons is the humidity. It's not just your epidermis that feels cold, but your bones themselves. High humidity colds feel like someone is taking a tuning fork to you bones and there's nothing you can do about it. So, it was with that in mind that I donned my Ferrosi Hoody to tackle a 4 hour paddle on the Lower Wekiva River. The Ferrosi is such a light and athletic piece, that it doesn't provide an immense amount of warmth - yet, it's so close to the body that it does preserve heat well. In that, it is rather efficient. So, I decided to wear an Arc'teryx Rho top (very nice piece in it's own right) and an Arc'teryx Ether Long Sleeve Crew (similar). They added just the warmth that were needed at the beginning of the paddle. Even so, as the day wore on, I needed neither of the latter pieces - for the paddling had warmed me up so that the Ferrosi was enough. But the gem of the Ferrosi is that - in the midst of it's nice fit, it's hood that protected the cold on my neck, and it's light warmth - the jacket is very water resistent. When you're paddling, it is easy to become wet. Damn near impossible not to get wet, actually. But the Ferrosi is well-treated and water resistent up to dipping your arm in the water. So, at the onset of the trip, did I need a couple other jackets to help me stay warm, yes. But, if it wouldn't have been for the athletic, water resistency of the Ferrosi, my core would have gotten cold. This protection was key, not only to my safety, but to my enjoyment of the trip. The Wekiva was beautiful last week, and I'm thankful to - among other things - the Outdoor Research Ferrosi Hoody, for allowing me to truly enjoy it.